I'm a babe on a budget. Are you? I started consistently keeping my nails painted when I was a junior in high school. There were a few times that I went and got a manicure and pedicure, but it was when I was able to tag along with my mom or had a gift certificate to a nail salon. I've never been into acrylic or fake nails, so I always just got regular polish, but was always disappointed when it would chip about two days later. My high school job was working at a concession stand, so at the end of the night when all the dishes had to be hand washed, you can only imagine what my nails looked like after. I would love to tally up the house I spend keeping my nails polished. 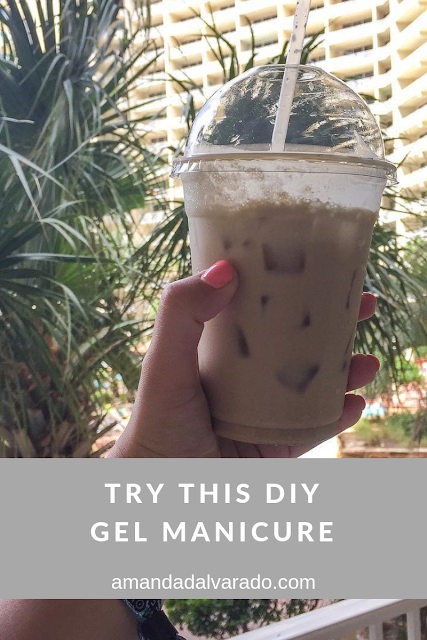 In college, I made the leap and tried a gel polish manicure and I loved it! I would occasionally head to the nail salon and treat myself to a gel manicure, but I mean, there was no way I could afford to keep it up. My junior year of college, I realized that gel manicure kits where sold in stores. I found a whole kit for like $25 at Target, so I figured I would give it a try. Well, guess what? It worked really well. It looked like I had been to the nail salon and gotten it professionally done. I also couldn't beat the price. The whole kit cost basically the same amount as one gel manicure. For all you ladies who are on a budget, you don't have to skip the manicures. 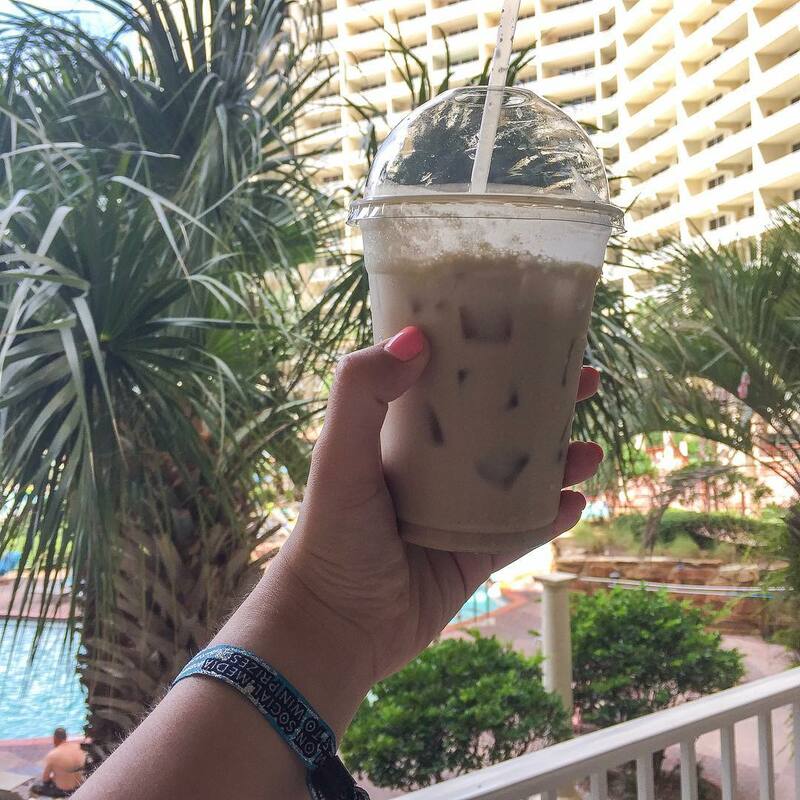 You don't have to deal with chipped nails! Go out and get yourself a gel manicure kit. Most of them have everything you need - including the polish to get you started. I've been doing this for about three years and yeah, I go to the salon and get a manicure to clean my nails up occasionally, but dropping like $60 or more every month to keep my nails looking great was not the move. Here are my current favorites and what I use to keep up my gel manicure. What are other ways that you save some cash? First post of the new year is all about goal-setting. How fitting, am I right? I am back from a little break I took just to regroup, focus on family and friends, and work on my anxiety. My anxiety has been the worst it has ever been over the past few months and I needed to just take some time to figure out how to work through it. I had to be real and just talk to my people. If you're struggling, remember that you are loved and there are people who will hear you out and help you. If you need someone to talk to, I am always here and will gladly listen. Anxiety will always be a struggle, but thank you for letting me be real and just talk to you all about it. We all struggle. Nobody's life is perfect and it is so important to have real conversations about what we struggle with. I'm really glad to be back. 2019 is going to be a year filled with change, but so much happiness. 2018 laid out a really good foundation for the community I am trying to build here and I am so glad to have you here as part of it. Are you ready? If you haven't yet, joining the community is so simple and as a welcome gift, you get a free goal-setting worksheet! As part of the community, you get some exclusive content and you're the first to hear about anything that's going on around here! I love setting goals and being able to cross something off of my list of goals. When I've made something a reality for myself... that feeling is incredible. 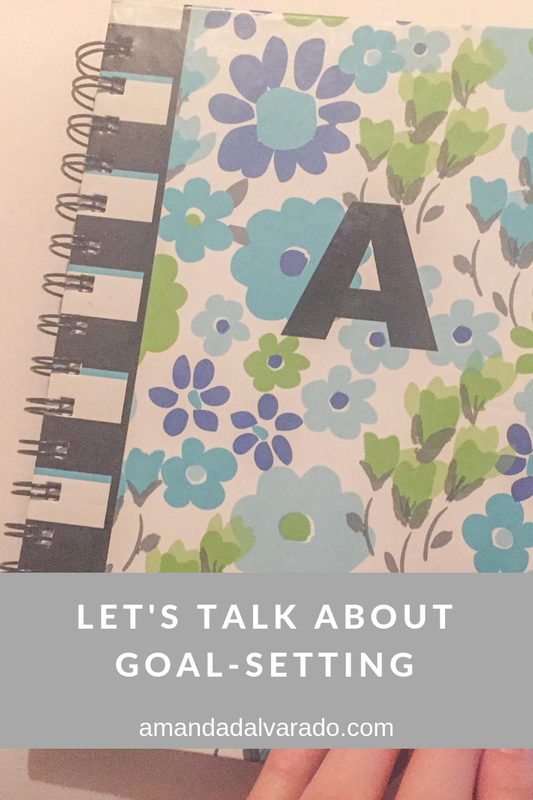 Goal-setting has been a big part of my life, so sharing a worksheet to jump start your goal-setting is something that just makes me so happy. Many of us make new year's resolutions and for me, it just makes sense because with a new year, it feels like a new start. I think the first new year's resolution I ever made was when I was ten-years-old. I've made a whole lot of resolutions, but if I'm being honest, I've kept maybe like five of those. Over the past five years, starting when I was in college, I got better at setting goals and taking baby steps to reach the goals that I set for myself. I think that goal-setting is great. It helps set a foundation for you when it comes to creating the life you want, but if you are working towards one goal for five years and then suddenly realize that the goal you were working towards is not what you love anymore, you can change paths. Life changes you and you grow. What you might strive for at 18 might not be what you want at 50. If you notice that your goals and the life you want shifts, that's fine as long as you are being authentic to yourself. About once a year, I like to grab some paper and write down what "living my best life" looks like. I think five to ten years in the future and write down what my job is like, what I drive, what my house looks like, where I live, where I volunteer, what I do in my spare time, literally everything and once I have that, I take that dream and translate that into ten goals. Every single morning, I take out my journal and write down those ten goals as if they have already happened. I got that idea from Rachel Hollis. I used to just write down something like, "I want to be in great shape," but now write "I am in great shape." I took this photo at night while I was writing down my goals because I woke up late that morning (what do you think of my blue-light blocking glasses? post to come!) Every morning when I write those goals down, I am reminded what I'm working towards and let me just tell you... those dreams are big. If I showed you my ten goals that I write down, you would probably think at least one of them is crazy or too big, but I want to dream big and I want you to dream big, too. Another important part of goal-setting that I think doesn't get talked about too often is gratitude. Working towards your future life is great, but being in the present is also really important. Along with writing down my ten goals, I also write down five things I am grateful for. I always write down things that happened or are relevant to the day before or day of. It just reminds me how blessed I am and even when life is tough, there are things to be thankful for. I hope that 2019 brings you so much goodness. I hope that you work towards your dreams harder than you ever have. I hope that when the tough times come this year, you persevere and keep going. I hope that in 2019, you become the most authentic you that you have ever been.